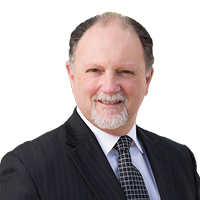 John Highman is a leading commercial, industrial, and retail property specialist in Australia. His vast commercial real estate experience spans some thirty years, and John has comprehensively served his corporate clients in Investment Sales, Leasing, and Property Management at all levels and with all property types. It is this experience and skill base that will help you improve your leasing focus and performance in today's property market. John shares his wealth of experience online globally coaching and training Commercial Real Estate Agents in many countries around the world.